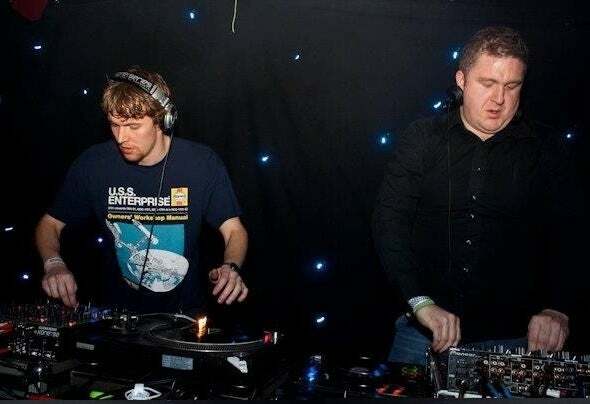 Cave DJz are Belfast DJs Cricky Lyttle and Christopher Black (Blacky). The project is the result of many, many DJ sets at parties of all shapes and sizes over the years and a love of tough as nails techno! With their Cave club night in Belfast that ran regularly from 2007 they've worked alongside DJs including as Pet Duo, Patrick DSP, Marco Bailey, A.Paul, Dan Ghenacia, DJ Cave along with some joint ventures with Belfast's DSNT working with guests such as Oscar Mulero, The Advent, Perc, Steve Rachmad and more. The Cave nights have took a back seat for the time being with the focus now firmly on producing which has been going great in a short space of time. So far the Cave lads have releases out on Naked Lunch, Gobsmacked, Unknown Forces, Hybrid Confusion, Techburst Records, Beast Factory, Naughty Pills, 5 Stars Techno, TMM, Shout Records.